I’m a die-hard Batiste fan and have been for years. 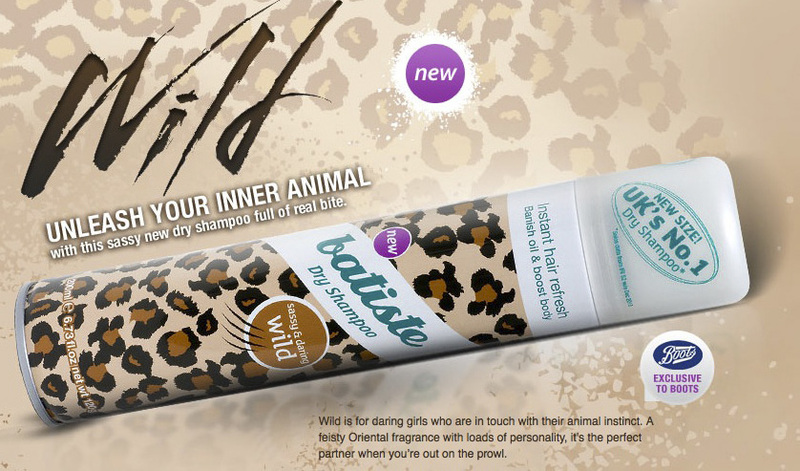 There are lots of dry shampoos popping up but none compete with Batiste in terms of performance and price! I always have a few cans in my bathroom and I’ve tried nearly all of the variations and have concluded that the ‘Wild’ version is my favourite. I’ve found it to not only to be the best formulation, it doesn’t seem to leave any feeling of chalkiness in my hair or any white coloured residue at all, but to be far and away the best smelling - a feisty oriental fragrance with notes cocoa, vanilla and woody tones – this smells as good as a body spray it is absolutely divine and makes my hair smell like a dream. Using this is an absolute joy as well as a life saver for those in-between-washes days! Which is your favourite? Have you tried Batiste’s newest offering ‘Lace’?